Earn a Master of Science in Health Informatics with your Pharm.D. with this coordinated degree program with Samford’s School of Public Health. Data gathering and analysis are an essential component of the health care process to make evidence-based decisions and provide optimal patient care. Pharmacists significantly contribute to this process by being an expert in the usage of health information and data. The Pharm.D./Master of Science in Health Informatics (M.S.H.I.) 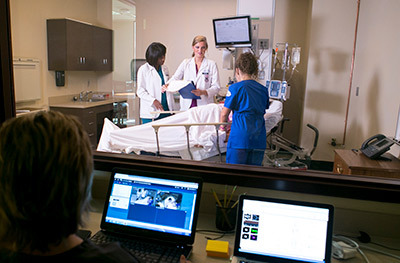 degree is a joint program between Samford’s McWhorter School of Pharmacy and School of Public Health within the university’s College of Health Sciences. Through credit sharing, you can earn two degrees in a reduced time. The School of Public Health will apply 16 credits of pharmacy coursework to satisfy work required under the regular M.S.H.I. curriculum. 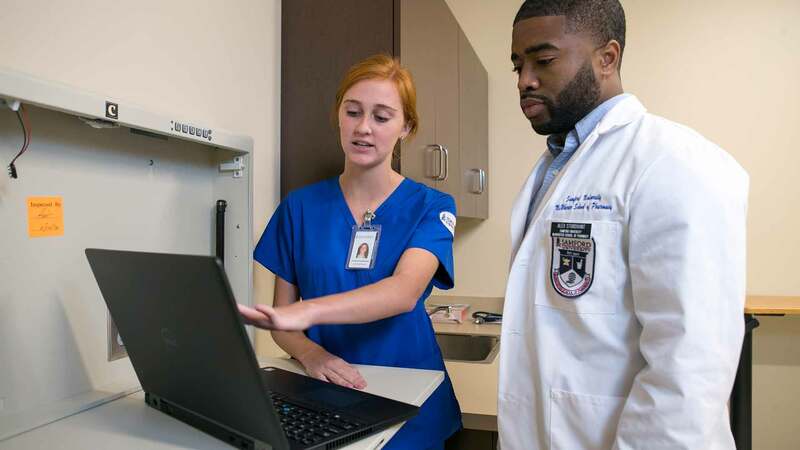 The McWhorter School of Pharmacy will apply four credits of core informatics coursework to satisfy the didactic elective coursework required under the regular pharmacy curriculum. As a student in this program, you are required to complete 25 credits of informatics coursework and at least 141 credits of pharmacy coursework. The M.S.H.I. program welcomes and encourages students from all academic backgrounds. On graduation, you can receive both the Pharm.D. and M.S.H.I. degrees in the same semester. In this program, you must complete the M.S.H.I. within five academic years of the original date of admission to the M.S.H.I. program. You will have two separate grade point averages, one for informatics and one for pharmacy. Pharmacy school ranking and percentiles will be based on the pharmacy only GPA. Students must maintain a 3.0 GPA in the M.S.H.I. program to be in good standing. You may choose to drop the joint degree in order to earn the Pharm.D. degree earlier. The School of Public Health will accept shared credit from the pharmacy school upon later readmission to the M.S.H.I. program as long as the student 1) began the joint degree before graduating with the Pharm.D. degree; 2) was in good standing with the School of Public Health; and 3) requests readmission to restart M.S.H.I. classes within one full semester after Pharm.D. graduation. For questions regarding the application, please contact Marian Carter, Ed.D. at mwcarter@samford.edu or 205-726-2611. #Counted as a PHRX didactic elective course. *HIIM 504 will be completed during the fourth-year of the pharmacy program as PHRX 676 Specialty Pharmacy APPE. This course will have a duration of 5 weeks. A faculty member within the School of Public Health will serve as the preceptor. ***Although the Capstone project is shared between both programs, the research project has to have an informatics focus. The project topic has to be approved by the School of Public Health.